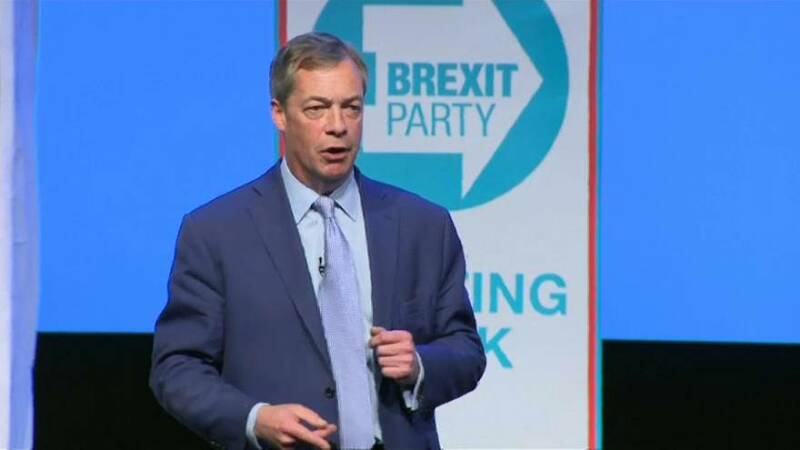 Nigel Farage, one of the leaders of a campaign for Britain to leave the European Union, addressed the first rally ever held by his new Brexit Party in Birmingham on Saturday. He accused British MPs of betraying Britain's decision to quit the bloc. Farage whose former party UKIP is credited by many with forcing Britain's 2016 referendum on EU membership, told supporters his party was fielding an impressive team in next month's European Parliament elections. Britain could still leave the bloc without having to take part. But with parliament rejecting May's deal to leave the EU three times, most parties suspect they will have to take part in the elections on May 23 - which could become a rerun, albeit on a smaller scale, of Britain's Brexit referendum in a possible challenge to May's Conservative Party.